The last of the traditional steam era fish vans. They were built 1957-60 with the BR clasp brake. Many were later used as parcels vans (SPV). Etched chassis and body with a cast resin roof. BR 1/801 12T fish van. Kit C.51. Etched ends, floor and ironwork only. For use with Parkside Dundas PC02A sides (not included). These etches are designed to backdate the Parkside Dundas BR steel ended open wagon (PC02A). 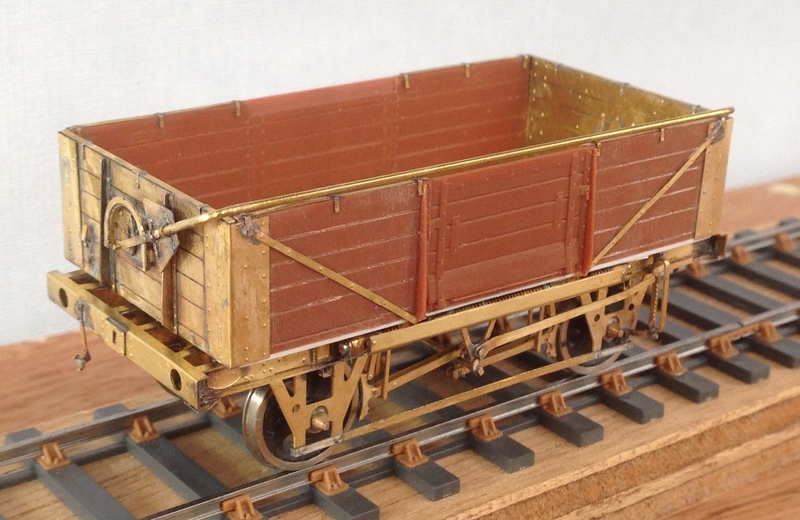 The sides included in this Parkside kit are excellent and I certainly couldn’t better them using etching so I have devised a frame, ends and detailing etch to enable an LMS 10′ wheelbase wooden open (D.1892, D.2072 and D.2094) to be built using them. They require the Parkside sides from thier kit PC02A and an underframe. Rumney Models chassis kits B.12 and B.52 are suitable. LMS D.2072 13T Open. 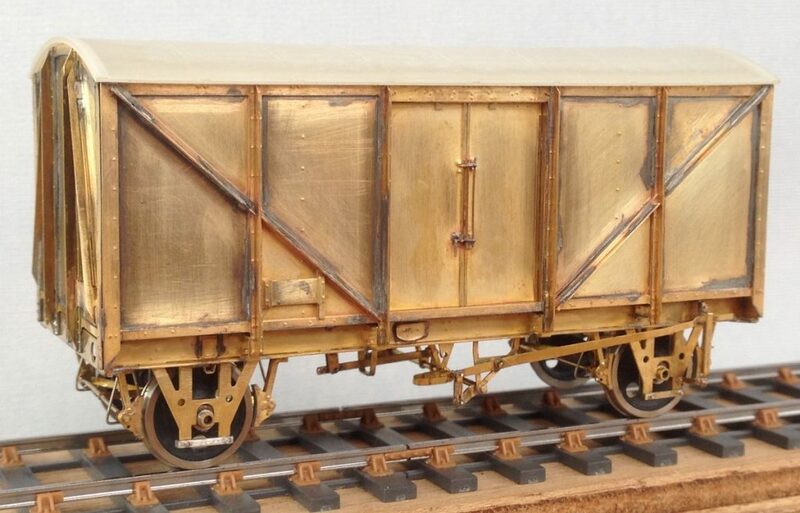 Rumney Models body kit C.53, chassis B.12, tarpulin bar B.92 – late type and Parkside Dundas PC02A sides. BR 1/040 12T wooden ended Shocopen. 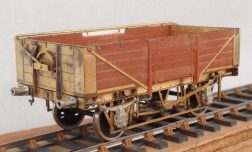 Rumney Models kit C.54, chassis B.11, shock wagon springs B.91 and modified Parkside PC02A sides. Etched ends, floor and ironwork only. For use with Parkside Dundas PC02A or PC28 sides (not included). Due to steel shortages BR built half a lot of Shocopen wagons in 1952 with wooden rather than corrugated ends. The etch is exactly the same in principle as the LMS opens above. Tarpaulin bars are included but it requires the Parkside sides from thier kit PC02A or PC28 and an underframe. Rumney Models chassis kits B.11 and shock absorbing spring brackets B.91 are suitable.